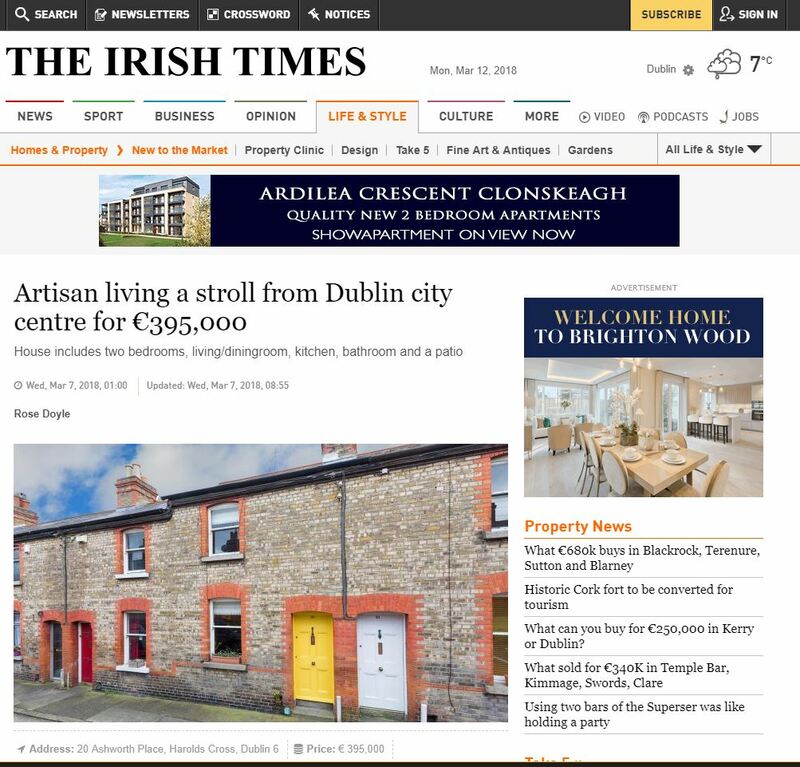 Ashworth Place in Harold’s Cross might be only a 20-minute walk to St Stephen’s Green, a quick trot to Rathmines and minutes from the Grand Canal, but it is, vendor Paula says, “a remarkably quiet place to live”. She should know – she’s lived there for 22 years since buying for IR£68,000 (punts) in l996. A look at more recent prices show No 5 selling for €192,000 in 2011, No 6 sold in 2015 for €350,000, and No 29 sold last year for €375,000. 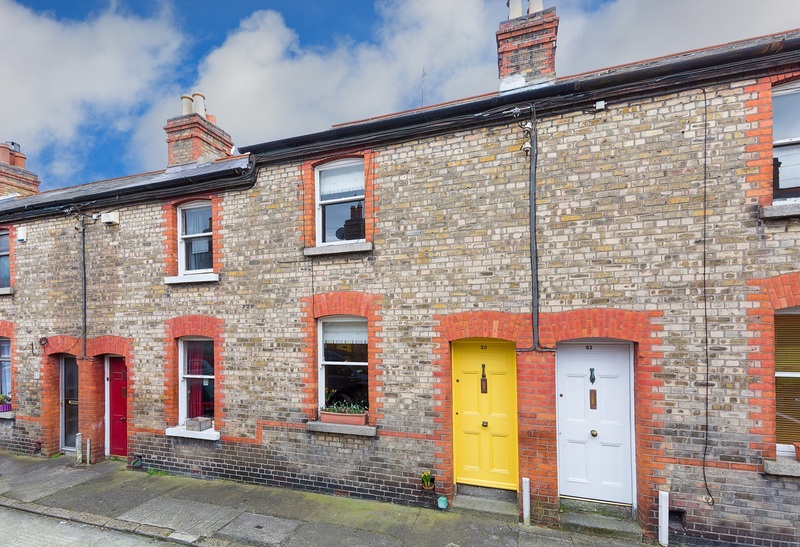 Agent Owen Reilly is asking €395,000 for No 20. The 62sq m (670sq ft) floor area includes two bedrooms, living/diningroom, kitchen, bathroom and a small patio. Ashworth Place, named after Charles Ashworth, is not without cachet. 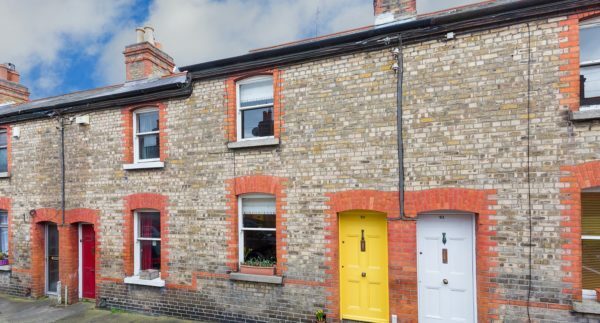 Ashworth was the architect of the Dublin Artisan Dwelling Company (DADC), an organisation providing well-designed, one- and two-storey houses for working people in Victorian Dublin. Civilian workers from nearby Cathal Brugha barracks were early occupants of Ashworth Place. The red and yellow brick used in the buildings had to come from either Athy or Portmarnock; Ashworth considered any other type inferior. DADC houses are still among the most sought after of the city’s modest townhouses. In “poor condition” when Paula bought it, she lived there for a while before adding a new roof and windows. Five years later she added a kitchen and, lastly, a new bathroom and wooden floor downstairs. She has loved living here and would, if she could, “put it on my back and take it with me on retirement to my native Cork”. Everything about No 20 is comfortable and easy to live with. A small, tiled lobby leads to the living/dining room, where a gas stove is fitted into an original brick fireplace. A stairs leads from here to the bright, first-floor bedrooms. The kitchen and bathroom are to the rear of the living room, laid-out so that the patio becomes an extension of the kitchen in finer weather. The DADC would have approved.